The iconic, colorful men who never utter a word are delving into the written word. Blue Man Group announced that it will publish its first ever book, “Blue Man World.” Released on the group’ YouTube page, the accompanying video gives fans a sneak peek on the book’s creation. 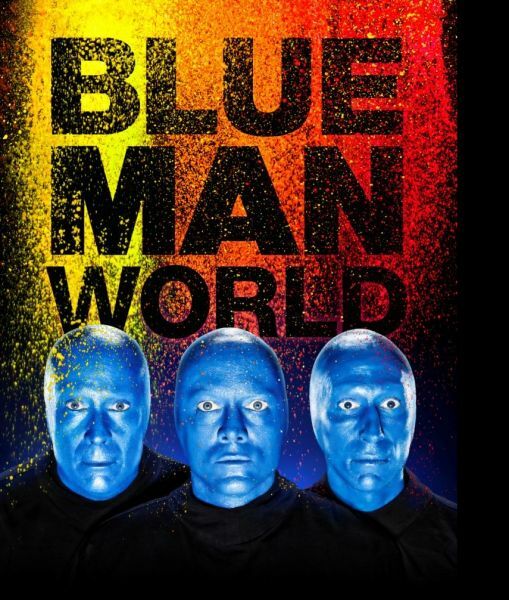 “Blue Man World” will be available in October 2016. The book is a graphically rich, textually dynamic, cheekily clever deep dive into the world of the Blue Men. Beyond the stage, the book offers a satirical look at today’s culture. The book answers many important questions like, as well as a hilarious cultural satire. Including Who are these Blue Men? Where do they come from? Why are there only three of them? What drives their curiosity? What do they hope to accomplish? Available for pre-order, “Blue Man World” can be ordered at Amazon, Barnes & Noble, and IndieBound. Pre-orders made before Oct. 3, 2016 at 11:59 p.m. E.T. are eligible for a special bonus. Customers who upload their pre-order receipts for “Blue Man World” to www.blueman.com/25/bluemanworld will receive a commemorative ‘Even More Tubes’ poster commissioned from artist Andrew DeGraff, celebrating the publication of “Blue Man World” and 25 years of entertaining more than 35 million individuals in over 15 countries. This year marks 25 years of Blue Man Group. Throughout the year, several new Blue Man projects will be launched. Recent items include recent release of the group’s third studio-album, THREE, visit Rolling Stone, The Hollywood Reporter and Billboard Magazine. To keep up to date with all things Blue Man, follow the group on Twitter, Facebook, Instagram or search the hashtag #DaretoLive.